Snooper have been making Laser / Radar gun detectors for a long time - their S range of GPS based systems have received mixed reviews, but it looks like they've come up with a winner with the Snooper Evolution - a GPS Camera detector with a laser alert as well - how did it do in our test? 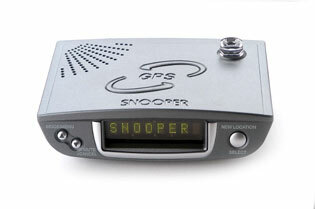 Well, out of the box the Snooper looks very tidy indeed. Smaller than the Road Angel Plus, it definitely has the feel of a confidence inspiring gadget - I really like its sharp lines and simple display - it looks like it could do the job. Plugged into the cigar lighter socket of my car, and sitting nicely in its suction mount attached to my windscreen, the Evolution picked up a GPS signal within 5 minutes, not bad for a first time lock. Then it was off down to the local A road to find the local fixed position cameras to see how it worked! In the run into my local town their is a fixed position Truvelo, then a lay by where the local cops often have a speed- camera van, so I was looking for the device to give me ample warning of both. Obviously I approached under the speed limit, and waited to see what the Snooper would do. Unfortunately the local police didn't have a laser van in its usual place, so I couldn't test the laser detector, but the unit still warned me anyway, as the locations of common mobile camera locations are stored in its memory. Impressive! Intrigued, I headed off to find some more cameras to see if the database was up to date. The Snooper warned me of all the Truvelos, and one Gatso that I passed, although there was one location that it warned me about even though the camera had been removed about 6 months ago. Updating the database was fairly simple, but the cost of subscriptions must be taken into account when buying this type of unit. The Snooper Evolution can be had for about £150 at the moment, a real bargain, but I wouldn't be surprised to see the likes of Snooper and Roadangel dropping the prices of these devices even further, as long as you sign up for a yearly download subscription, like contract mobile phones. I had the Snooper Evolution for 2 days on test, and it didn't let me down once. I didn't pass any mobile units, so I can't comment on the effectiveness of the laser detector, but overall I'd definitely give it the thumbs up, Snooper have come up with a great device this time. I am going to buy a speed camera detector and would just like to clarify something. Do you have to buy a subscription when you purchase the detector or is it an option if you want to download the latest updates through the year. I know nothing of these devices, as I am purchasing one for my partner and just need to clarify this, sorry if I sound rather thick. You don't have to buy a subscription, but the unit is useless without it. i've bought an evolution device but my software cd disk snapped and i'm not able to install it on my laptop. Can you help me ??? Nick.